The first Manchester derby of 2018/19 is in the books, and to nobody’s great surprise, Manchester City came away with the spoils. Pep Guardiola’s men convincingly defeated Jose Mourinho’s Red Devils by 3 goals to 1 after a flying start saw them take the lead through a David Silva goal after just 12 minutes. Sergio Aguero then doubled City’s lead three minutes after the restart, and while a penalty from Anthony Martial gave United a lifeline on 58 minutes following a foul on Romelu Lukaku – who had only been introduced to the game a minute earlier – Ilkay Gundogan put the game beyond Mourinho’s side in the 86th minute. 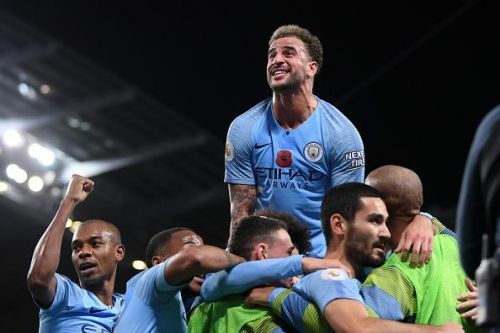 It was a strong showing for City, who have now leapfrogged Liverpool to sit atop the Premier League table again, and for all intents and purposes, they already look like champions-elect. Here are 3 reasons why Manchester City defeated Manchester United. One area that City have become excellent in thus far this season is their ability to score very early goals, hitting their opponents with a sucker punch that quite often, they can’t recover from. United, on the other hand, had gone behind in 6 of their Premier League games this season, although they’d come back to avoid defeat on two of those occasions. On paper it sounded like a recipe for disaster for Mourinho and within seconds, it looked like that was going to be the case in execution too. 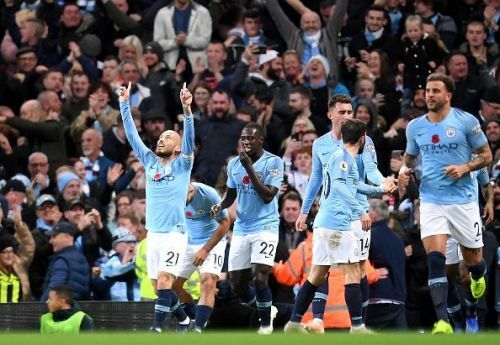 By the time David Silva scored on the 12th minute, bundling home from a Bernardo Silva pass, City’s dominance was stunning – they’d completed 104 passes with a success rate of 92%, while United had only completed 11 – and only succeeded in completing 5 of them. While the game then settled down somewhat as United began to feel their way in, rather than come out stronger for the second half, City again hit them with a heavy sucker punch. After again bossing possession, Sergio Aguero hit a rising finish past David de Gea after a sequence of passes with Riyad Mahrez. From there – despite Martial’s goal giving the Red Devils some hope – the game was largely over. Pep Guardiola clearly had a gameplan in mind for his team to overwhelm their local rivals at the beginning of both halves, and it worked to perfection.